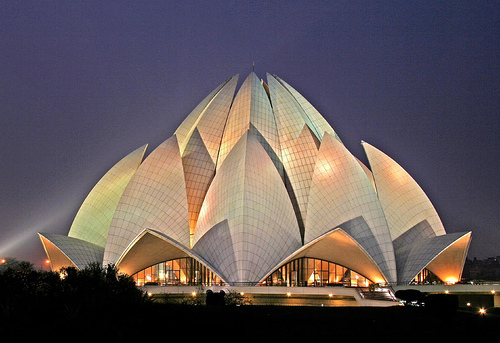 The Bahá'í House of Worship in Delhi, India, popularly known as the Lotus Temple due to its flowerlike shape, is a Bahá'í House of Worship and also a prominent attraction in Delhi. It was completed in 1986 and serves as the Mother Temple of the Indian subcontinent. It has won numerous architectural awards and been featured in hundreds of newspaper and magazine articles.